Prisoner's rehabilitation outcomes are increased by access to art tutors, programmes and projects. 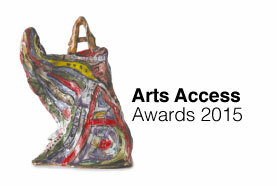 This is the season where judges have been reviewing nominations to the Arts Access Awards reviewing many programmes initiated by tutors in a variety of Corrections facilities. The growth in the number of nominations and the quality of what prisoners, staff and volunteers are achieving is very encouraging. The visual arts go beyond improvements to the physical environment. The process of problem solving and skill development builds self-esteem and gives prisoners an outlet to express themselves positively. Prisons investing in arts programmes are producing very high standards of work and a fine example is last month’s ‘InsideOut 6’ exhibition. This annual exhibition is the result of a six year partnership between Mairangi Arts Centre and the Department of Corrections. The length and effort of engagement from both is excellent. It is one thing to have prisoners engaged in art skills in prison but to take the best results into a public exhibition lifts the activity to a new and valuable level. This is a safe and proven way for members of the public to see the results of offenders’ creativity where they can gain an appreciation for the innovative programmes undertaken by Corrections. When art works are sold and funds are raised for charity, prisoners participate in and contribute to society in a positive way. 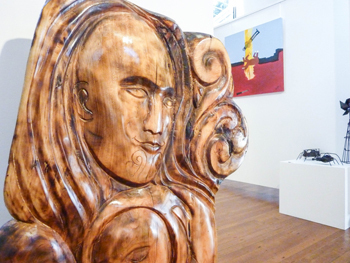 Public art exhibitions such as ‘InsideOut 6’ demonstrate highly effective and valuable partnerships between prisons, prisoners and the community. Arts Access Aotearoa would like to thank Uta Plate for her work while in New Zealand. The Goethe-Institute in co-operation with Wellington City Council offered Uta Plate a 3 month residency to work in New Zealand. Uta took the time to run a theatre workshop in the Drug Treatment Unit of Arohata Women’s Prison organised by Arts Access Aotearoa, co-ordinated by Jacqui Moyes, Arts in Corrections Advisor. Toi Whakaari New Zealand Drama School students accompanied Uta in these workshops. It was a great opportunity for these students to develop practical applied theatre skills in a prison environment. We were incredibly fortunate to have Curt Tofteland, Shakespeare Behind Bars founder, in New Zealand this month. He had a full schedule leading 3 symposiums in Auckland, Christchurch and Wellington as well as giving a public lecture in each of the cities. Each symposium had 60 invited guests from the Department of Corrections staff, Arts in Corrections practitioners, academics, students and the wider community, attending. Curt discussed the creative process and the power of art to heal and redeem in prison. He talked about the relationship between creativity, empathy and trust and the way in which creativity provides hope and courage to act, despite prisoners’ fears and the odds against them. The judging is now concluded and we are looking forward to the 1st of July. Each year two awards recognise leadership in Corrections. It provides well deserved profile for community volunteers and Corrections staff who have delivered effective arts programmes or projects. This year along with recognition of extraordinary community volunteers, a prison will be recognised for its coordinated, planned efforts that demonstrate innovative arts programme delivery. You can read about these on our website from 2nd July. Thank you for your efforts in providing effective arts programmes at your prison, unit or community organisation. Original generation time 2.6383 seconds. Cache Loaded in: 0.0369 seconds.